Work to the existing Biosolids Facility required the installation of deep pits and foundations for proposed processing equipment. Due to the tight confines of the site and the proximity of exterior walls, columns and footings, the use of a traditional soldier pile and lagging system was not feasible. 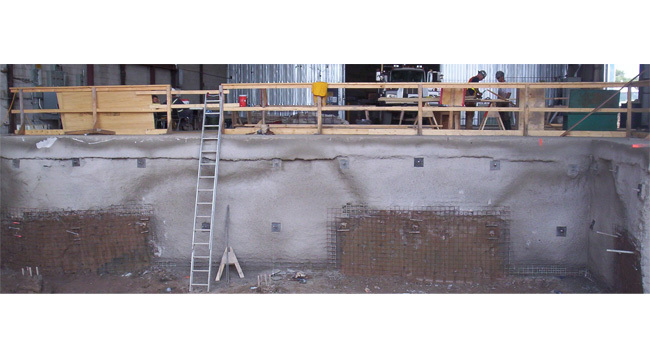 Instead, a shotcrete shoring and underpinning solution was developed in conjunction with the Owner and the General Contractor. By working with the forming contractor, a zero clearance solution was used as the backside of the new form work. 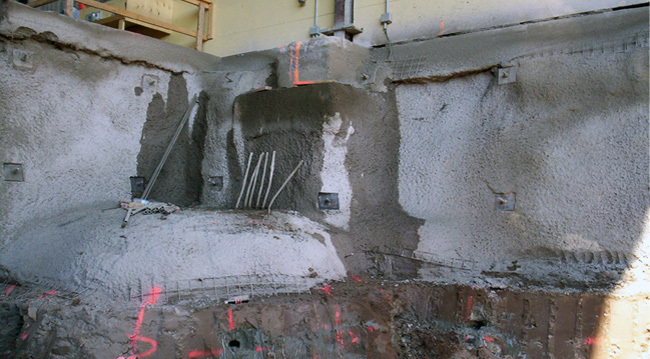 In addition to vertical cut stability, the shotcrete was also designed to provide underpinning stabilization to the undermined column pad footings and exterior wall footings. By placing strategically located vertical mini piles at and around the pad footings, the additional stabilization was achieved. 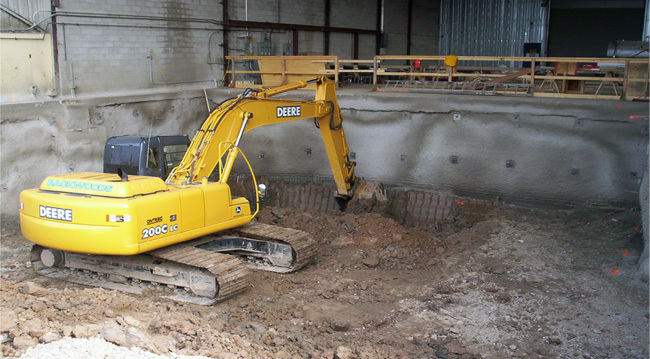 The use of the shotcrete solution in this application allowed the General Contractor to minimize disturbance and disruption to the ongoing facility operations.